The event this year attracted a total of 121 competitors signing up for SNBL. Some toured Scotland to attend every round, others attended their local round, whilst the majority attended varying rounds in between to increase their ranking as the scores after each round were posted and the leader board changed. We would like to thank Alien Rock, Transition Extreme, Avertical World, Three Wise Monkeys, The Climbing Academy and Eden Rock for acting as hosts for the League. 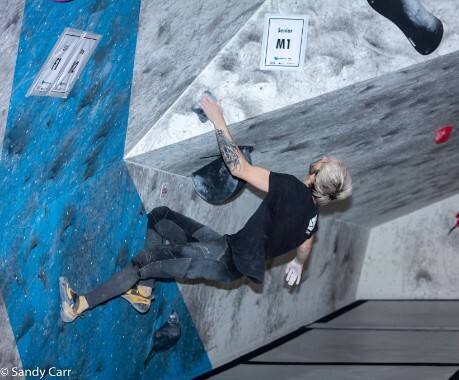 SNBL piggy-backs on the host wall�s own winter bouldering series and so anyone entering a SNBL away from their home patch will experience each competition�s different vibe, different style of setting and different competitors. We hope you all enjoyed the League and we look forward to seeing more competitors next year. Finally, but not least, we would like to thank Red Chilli and Edelrid for sponsoring the prizes this year.